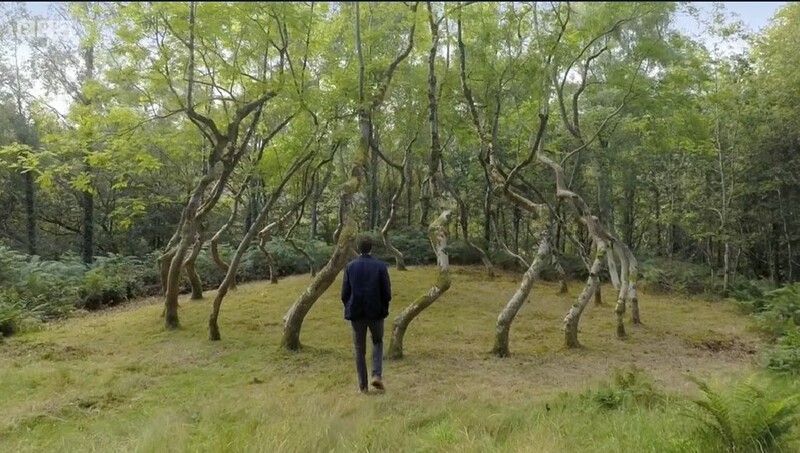 Dr James Fox takes a journey through six different landscapes across Britain, meeting artists whose work explores our relationship to the natural world. 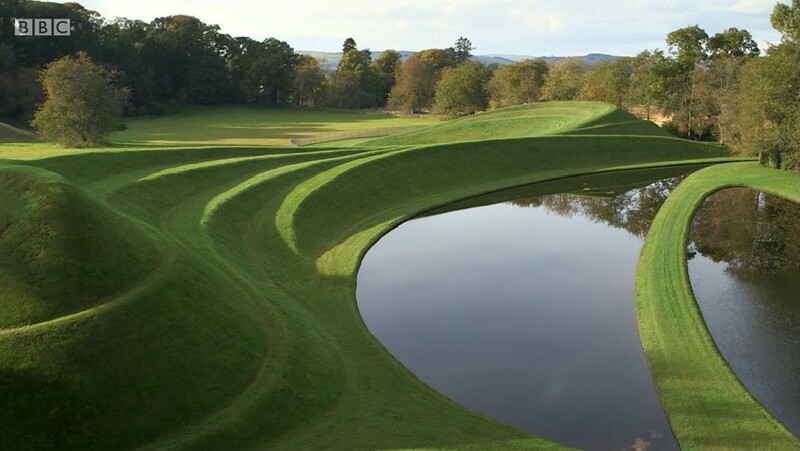 From Andy Goldsworthy’s beautiful stone sculptures to James Turrell’s extraordinary sky spaces, this is a film about art made out of nature itself. 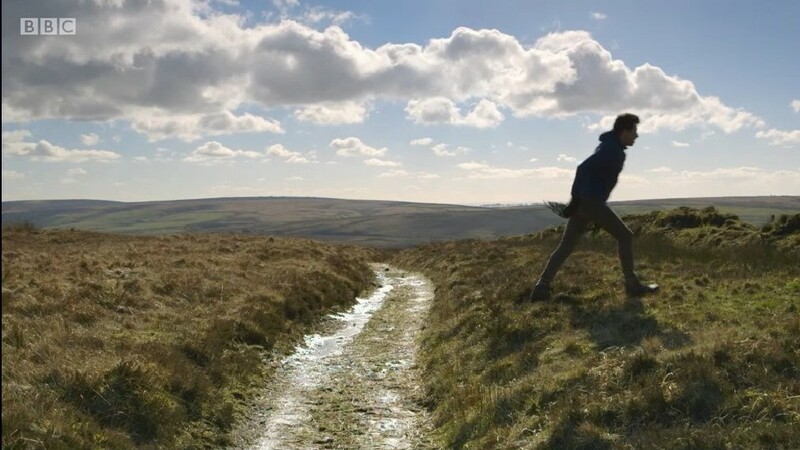 Featuring spectacular images of landscape and art, James travels from the furthest reaches of the Scottish coast and the farmlands of Cumbria to woods of north Wales. 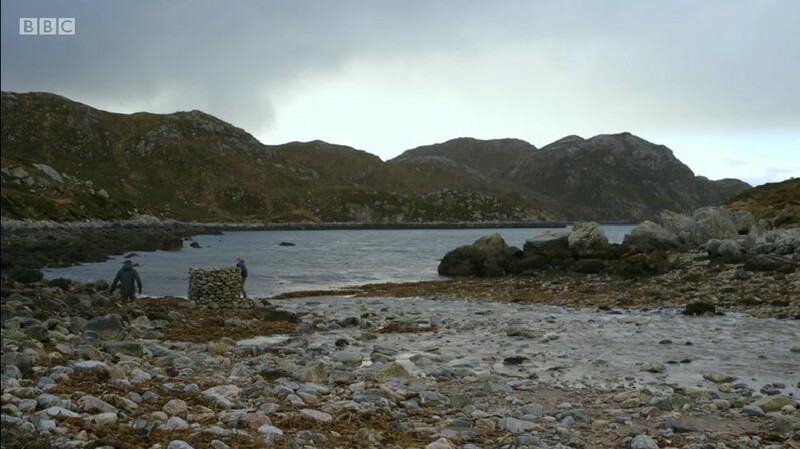 In each location he marvels at how artists’ interactions with the landscape have created a very different kind of modern art – and make us look again at the world around us. 22 ash trees planted and trained to create a dome. 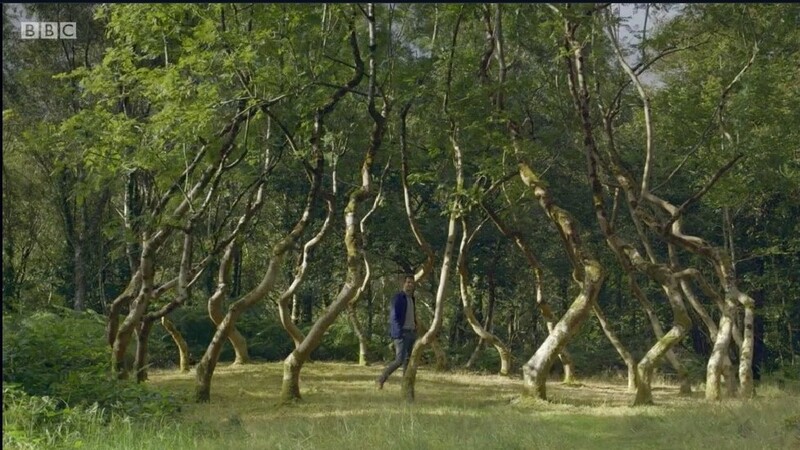 These trees form a perfect 30 foot circle of trees. Since they were planted 40 years ago Nash has shaped, trained and pruned them to grow into a dome shape. 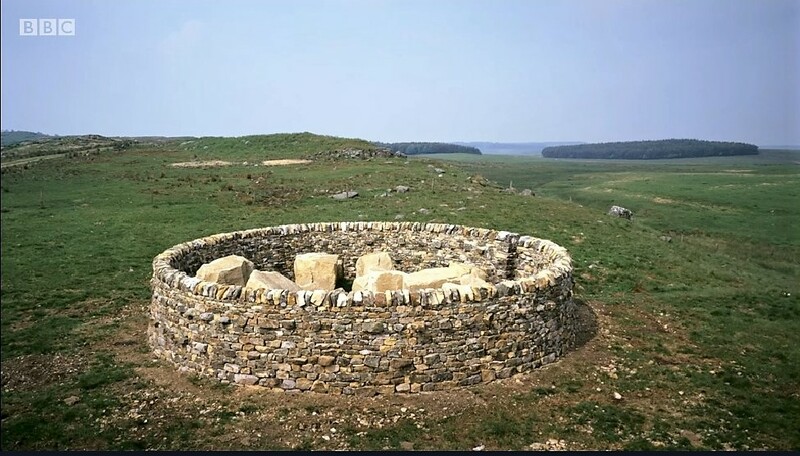 From 1996 for 7 years Goldsworthy has ‘converted’ 46 Sheep folds into sculpture. He uses the orientation of stone to catch light throughout the day on the 4 sides of quadrangular pens. 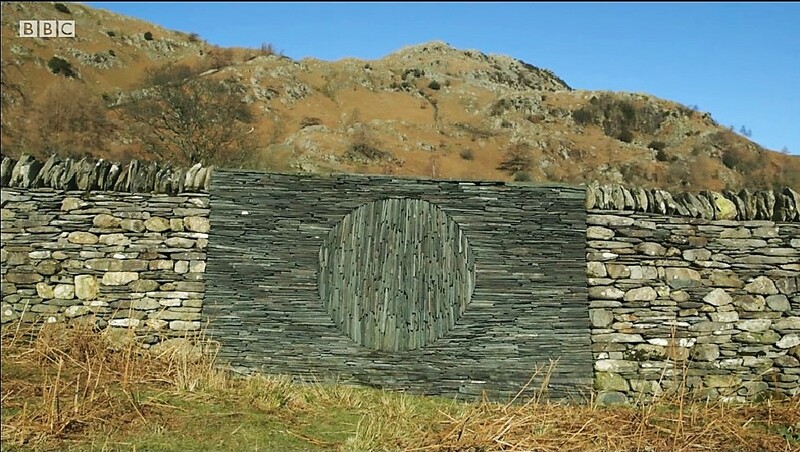 Additionally he also uses the orientation of stone within wall face to show shape. This he achieves by allowing the stone to work with natural light to cast shadows within the structure. 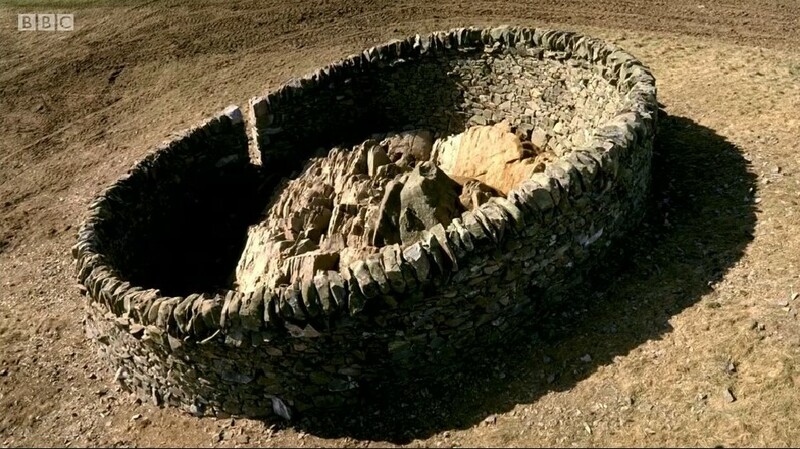 As the sculptures are made using a dry stone wall construction these shadows are deep and strong in the right light. 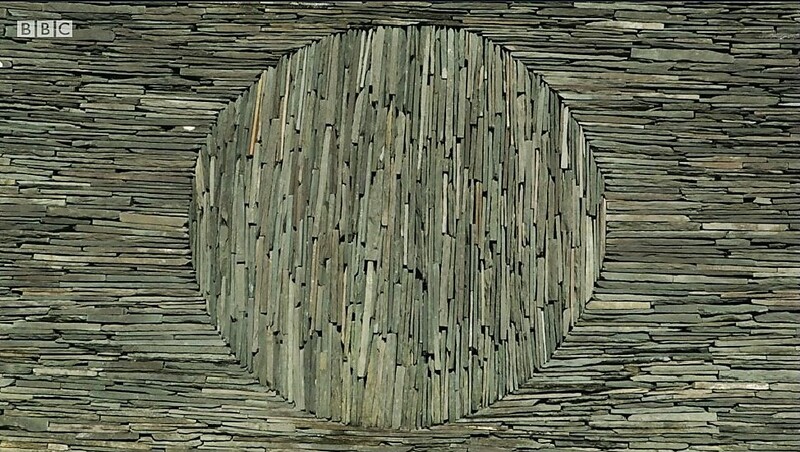 Several times over the last few years Goldsworthy has worked upon a work near his studio. 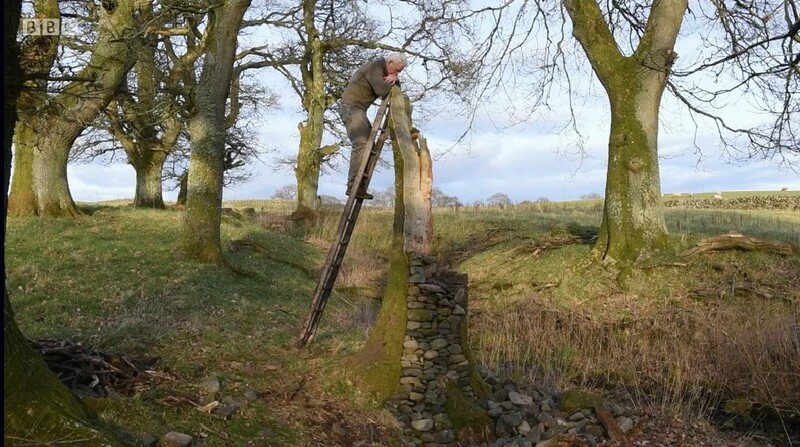 A hallow tree stump has been filled with a pile of stone to create a dry stone column that extends above the tree stump. Several times over the years this column has collapsed. 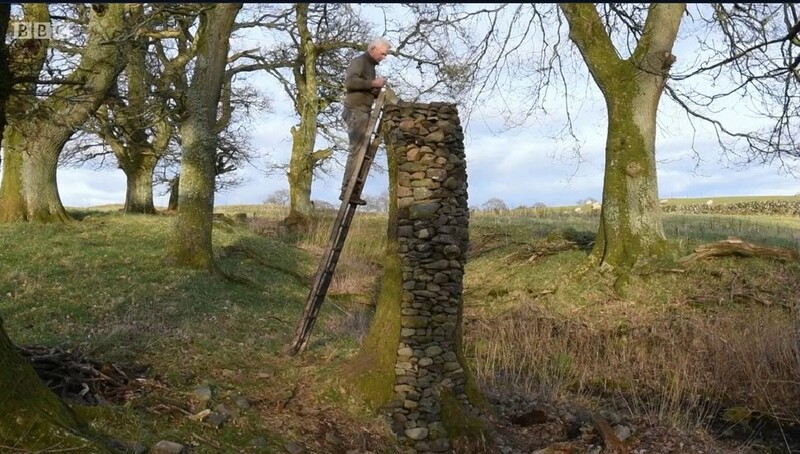 In the documentary we see Goldsworthy achieve his highest ever level before if collapses as he looks helpless on. We are ‘treated’ to the sight of even well know artists feeling as we do when an artwork all goes wrong. Goldsworthy is philosophical about it but the pain of the failure grates and he may not work on it again. Or at least not for some time. This artist harnesses several elements into one artwork as she tries to capture the elemental forces of nature – Fire, stone and water. Brook makes fire stacks.. 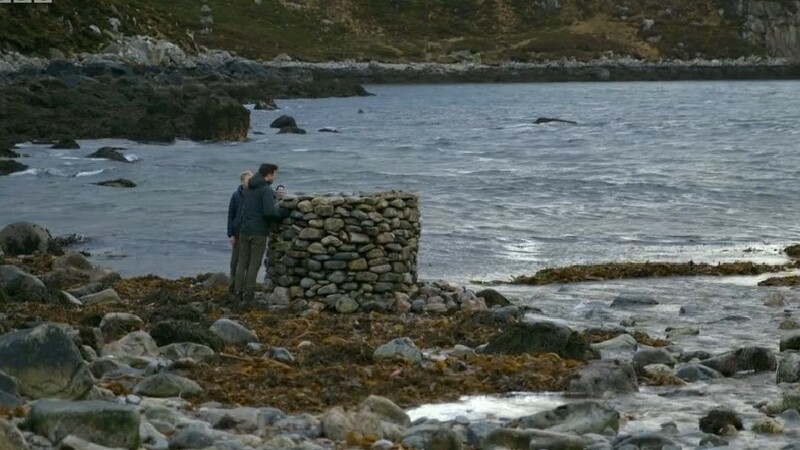 These stone columns are built at low tide and eventually when a certain height is achieved they are filled with materials such as dry seaweed, wood and other found flammable materials. 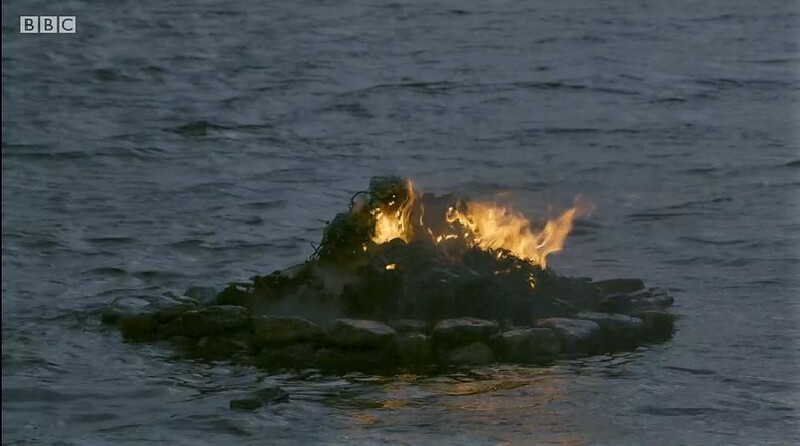 Once the tide reclaims the base of the structure she wades into the water and lights the material and over the following hour or two the fire grows and eventually dies. 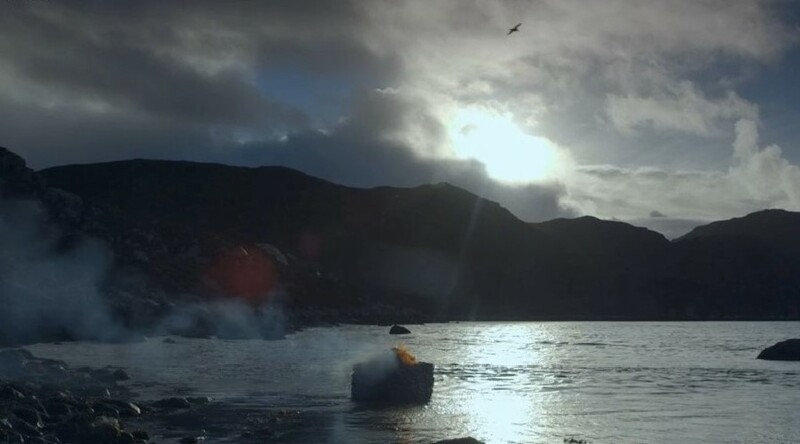 She does this as the sun sets so at different times the display concentrates on the stone, before the rising tide hides that from view and we then concentrate on the fire before the rising tide reclaims it all and extinguishes the fire in the stack. When this happens at sunset and the timing of the fire is right there is a few moments when the natural elements of fire, light and water are in harmony. 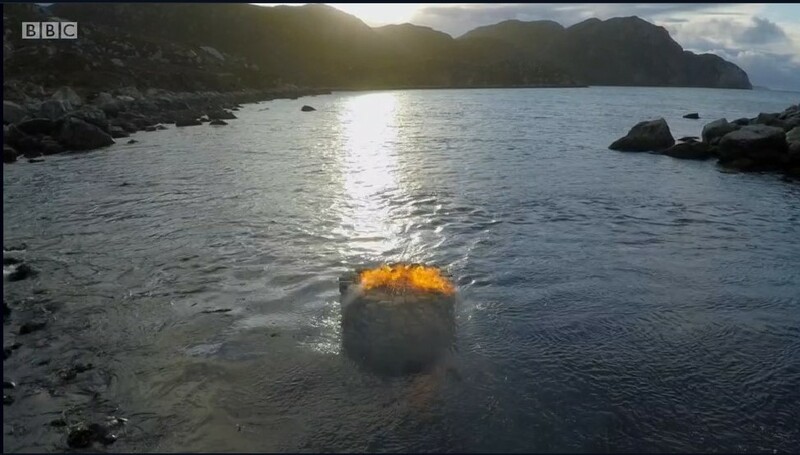 The light from the fire stack reflects on the water where the reds and gold of the sunset mirror that of the flames and we cannot tell one from the other. 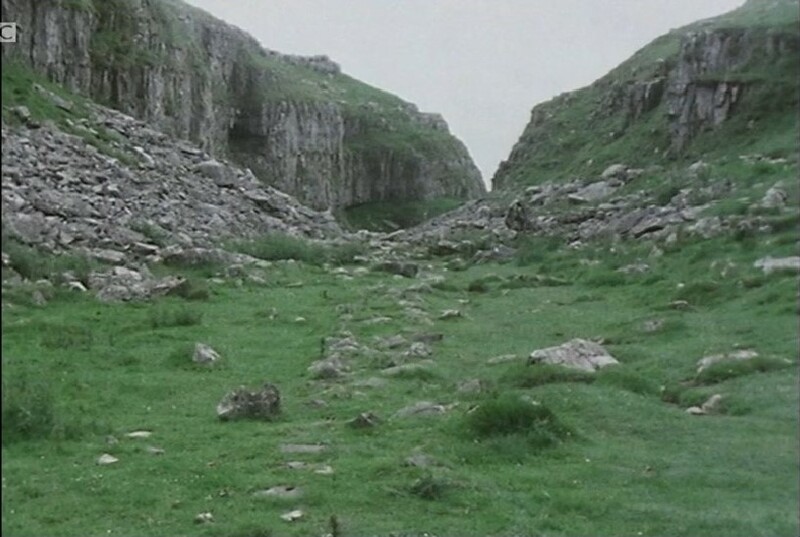 Initially found fame with his 1967 work “A line made by walking”. This and other works are discussed in a clip from an Omnibus documentary from 1983. 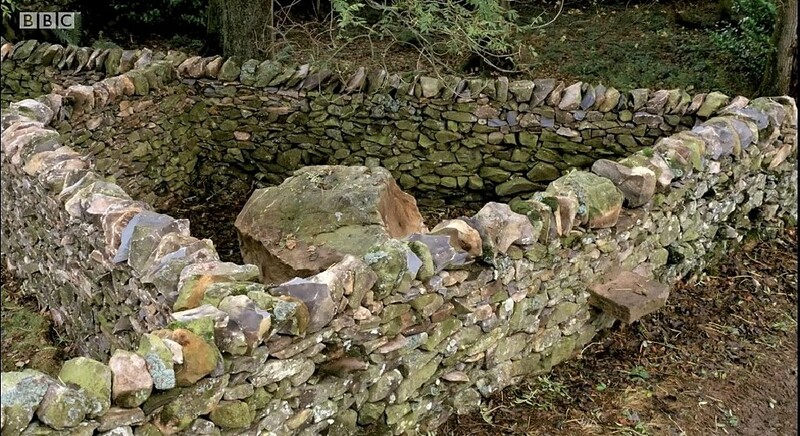 Long shows us another work “ A Line in England” and how it is reclaimed by nature after a few years. 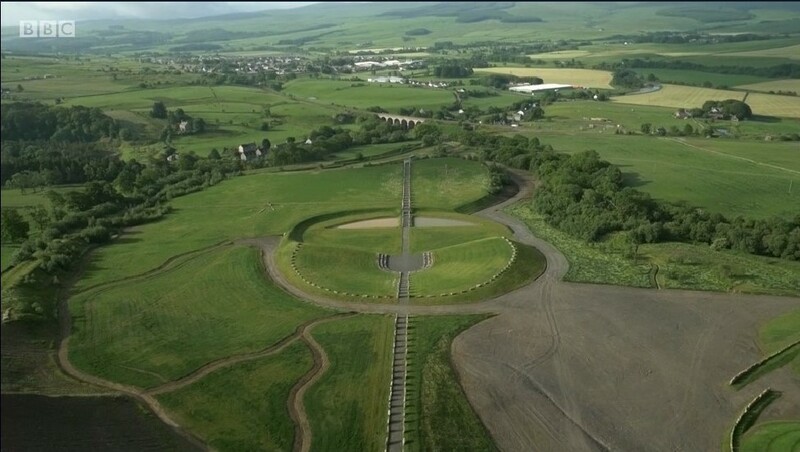 Longs notes of his work “Re-arrangement of a place and will in time be re-absorbed by it”. 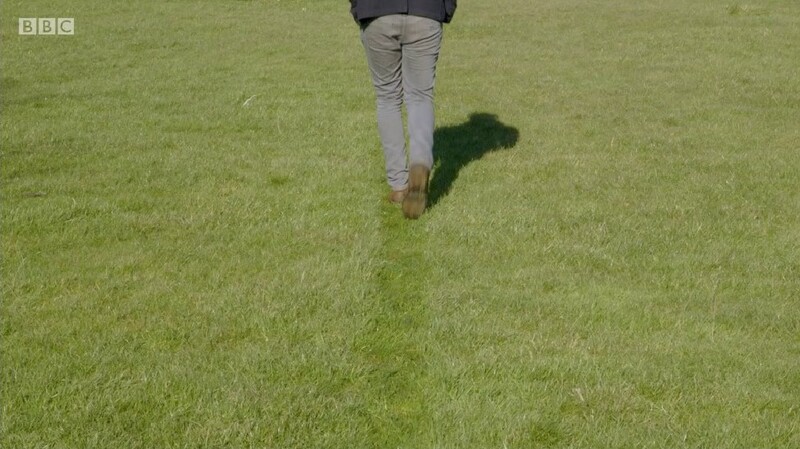 Long’s art has continued with the theme of walking. 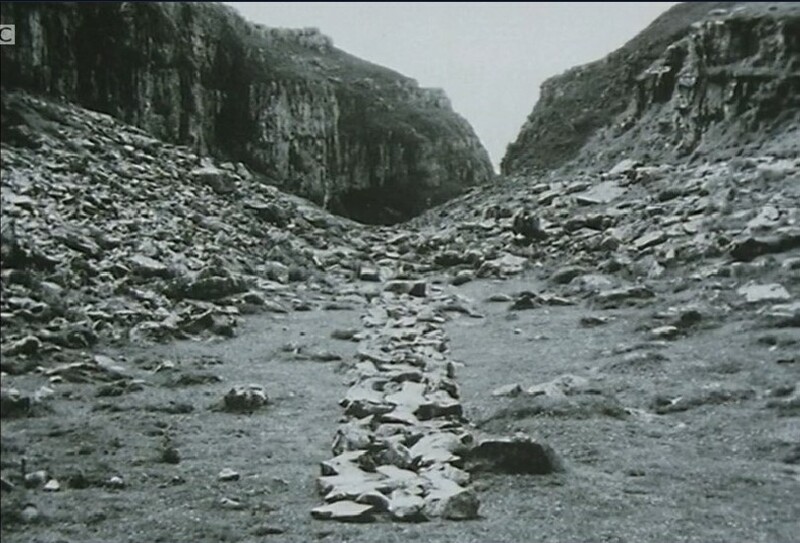 Another work recreated by the presenter Dr Fox is” A ten mile walk, England, 1968”. 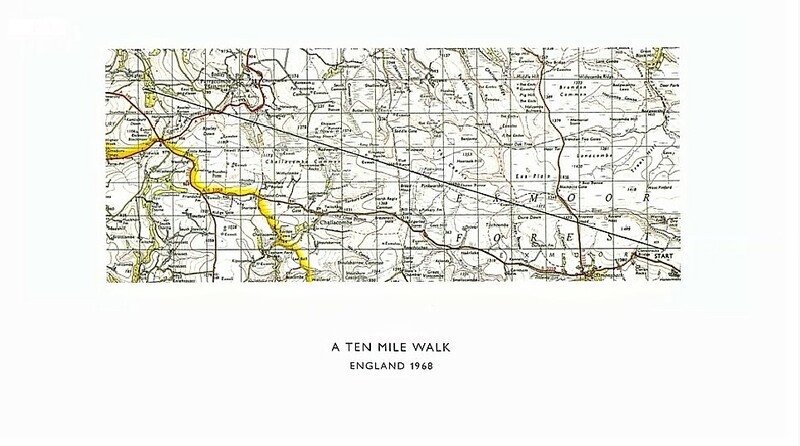 Richard Long examined a map and using a ruler marked a straight line on the map 10 miles from point to point., He then went to the start point and walked this straight line through the landscape.. 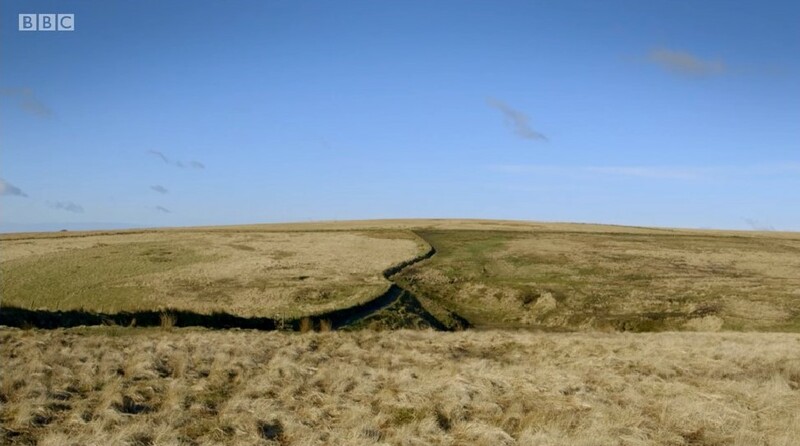 It is located in Exmoor, 10 miles in a straight line across the moor, over walls, streams etc. In the programme Dr Fox questions what is the art? Or the map of the walk. Long says “it all is”. 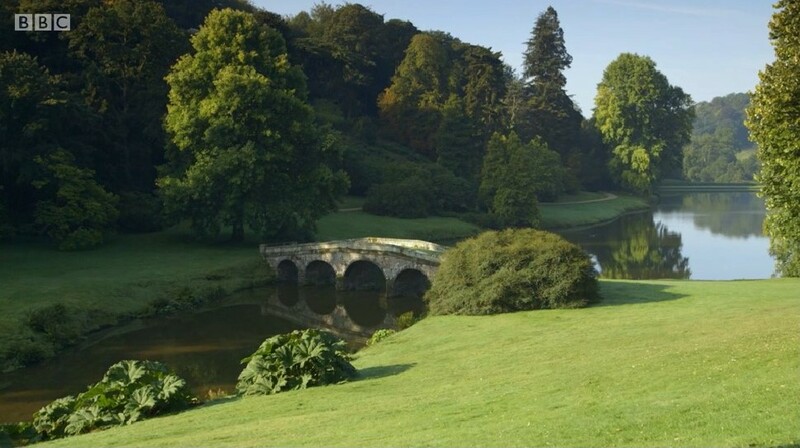 The narration takes us back to the art of Claude and the idealised landscape of the 18th century. 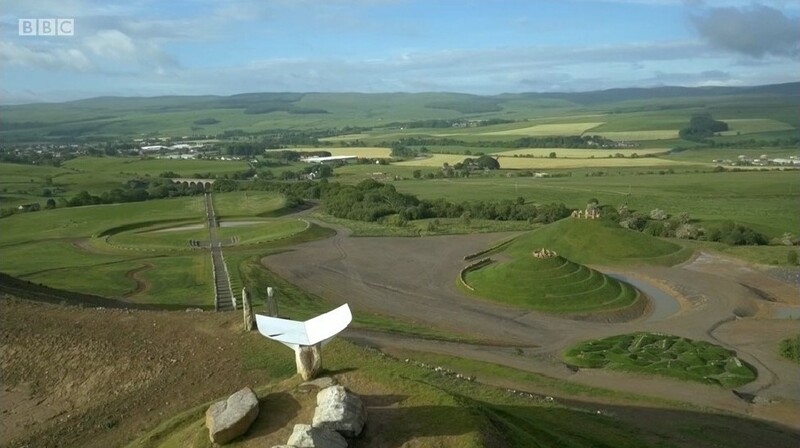 These artworks captured the imagination of those with the land and money to carve nature into this idealised shape. 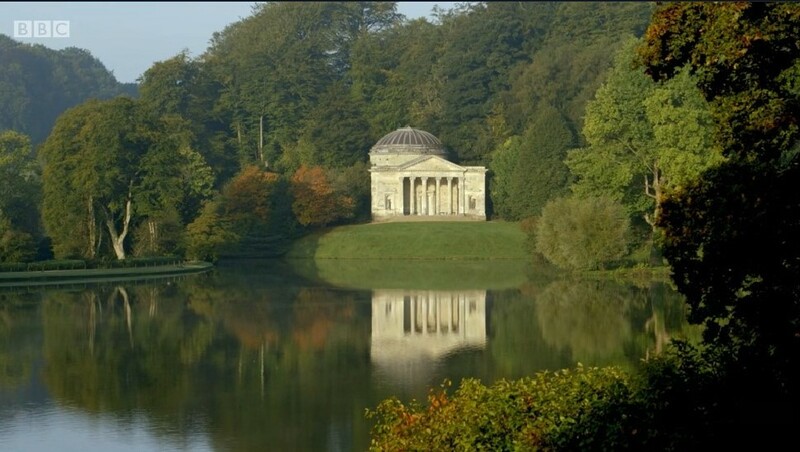 Henry Hall has these means and it his vision that creates the landscape we see today at Stourhead in Somerset. 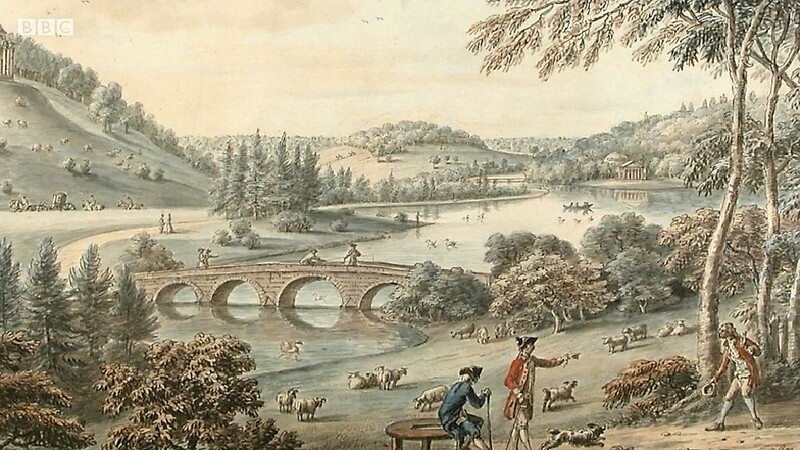 Here he takes Claude the landscape classical painter and his works and makes his vision of nature into nature. 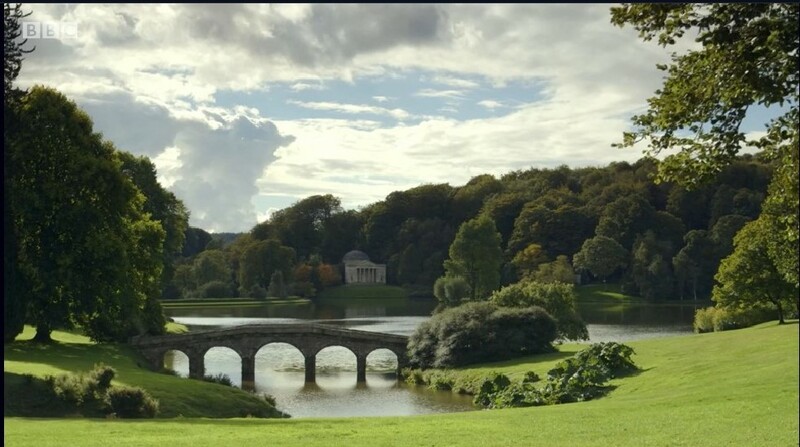 The narrator, Dr Fox, says the climax of it all and one of the most beautiful views in Britain is the view across the river, bridge and lake to the classical temple in the distance. 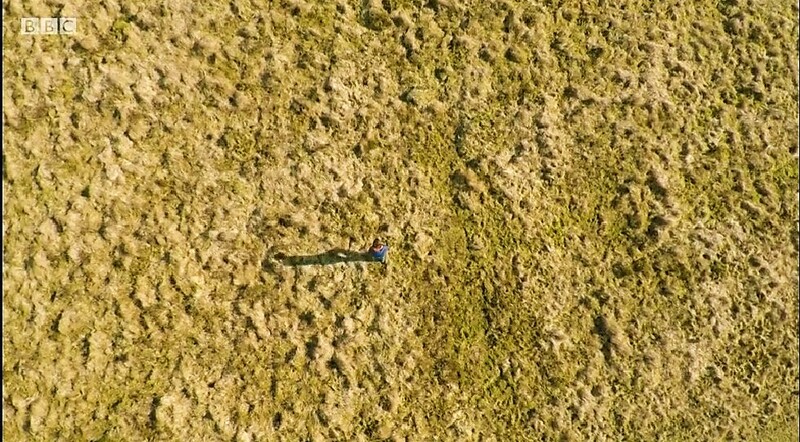 Here we see what vision, a deep wallet and a large amount of earth moving equipment can achieve. 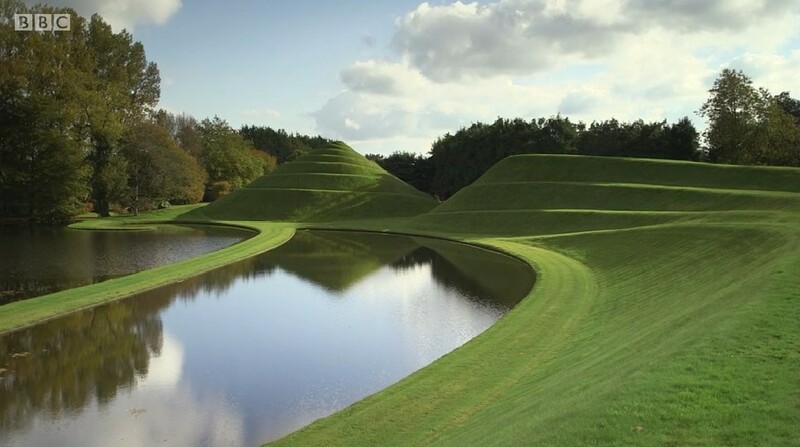 Garden of Cosmic Speculation in Dumfriesshire. Started in 1988 the garden has grown as Jencks adds elements to his vision. 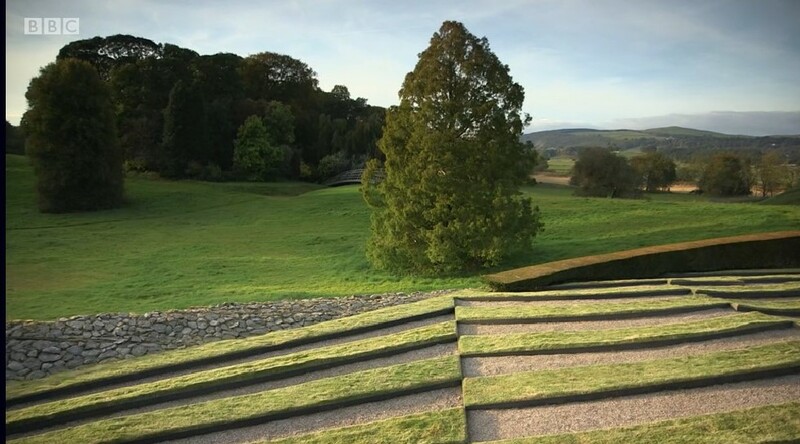 A concrete building set into the landscape doesn’t prepare you for what you will see. Fox walks into the building and reaches a small square room with concrete benches set along the walls and a high ceiling. The centre of the ceiling is missing and the rest of the ceiling acts as a framing piece for the next artwork. The ever-moving sky. This picture is contemplated over a series of hours by Fox with us seeing glimpses of what he witnesses. The end comes when the sun sets and the sky deepens in colour. This is supported by the interior lighting in the space and we are left with a vision of the sky turning slowly to a deep ultramarine from the cerulean it was at the beginning. 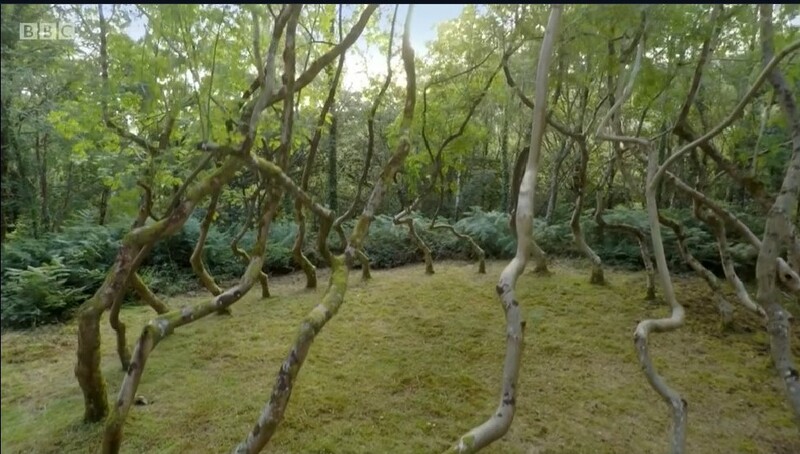 BBC (2016) Forest, Field & Sky: Art out of Nature [Video stills] At: https://www.bbc.co.uk/iplayer/episode/b079ckkf/forest-field-sky-art-out-of-nature# [Accessed 21 March 2018].